The 2017 Dodge Challenger GT AWD is the first American two-door muscle car that sends power to all four wheels. 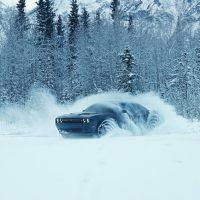 So, for the first time, MOPAR enthusiasts can enjoy the Challenger’s unparalleled performance year-around, in all types of weather conditions. The entire Challenger lineup received a mid-cycle refresh for 2016, which infused certain design elements from the 1971 model inside and out. Visually, the 2017 model remains unchanged. 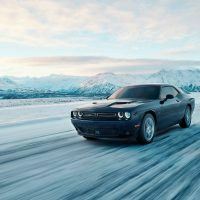 “Dodge is shifting the muscle car paradigm with the new 2017 Dodge Challenger GT, the world’s first and only all-wheel drive American muscle coupe,” said Tim Kuniskis, head of passenger cars – Dodge, SRT, Chrysler and FIAT, FCA North America. 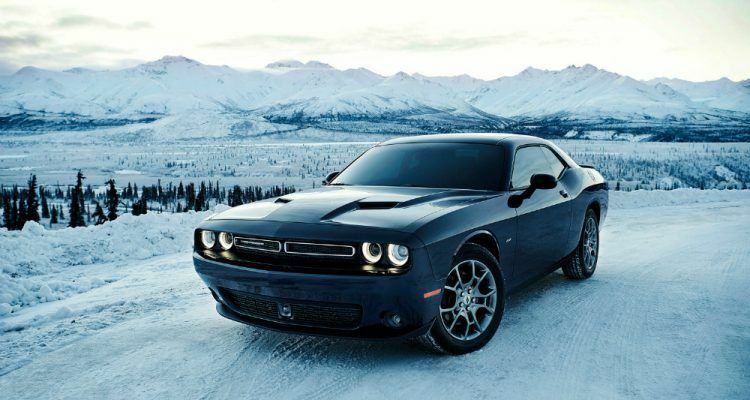 The Challenger GT AWD is powered by the ubiquitous 3.6 L Pentastar V6, which produces 305 horsepower (6,500 rpm) and 268 lb-ft. of torque (4,800 rpm). The engine is backed by a ZF-sourced eight-speed automatic transmission with steering wheel mounted paddle shifters. Most of the Challenger GT’s drivetrain components are shared with the Charger AWD. 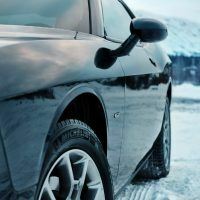 The technologically advanced AWD system includes an active transfer case and front-axle disconnect, which enhances all-season performance while improving fuel economy. Under normal driving conditions, the front axle is disengaged and 100 percent of the power is routed to the rear wheels. When the sensors detect a loss of traction, the system automatically engages the front axle, transforming the Challenger GT into an all-wheel drive machine. 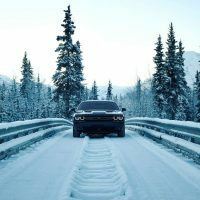 The 2017 Dodge Challenger GT AWD provides impressive handling on all surfaces, especially snow and ice with Vehicle Dynamic Control (VDC). The car’s on-road dynamic performance is enhanced by using precise front-to-rear torque distribution control, which is integrated into the vehicle’s Electronic Stability Control (ESC) system. Pushing the Super Track Pak button activates the Dodge Performance Pages and launch control features via the 8.4-inch touchscreen. The pages feature information such as reaction times, 0-to-60 times, G-force indicator, and lap times. These pages can also be monitored and mirrored in the 7-inch thin-film transistor (TFT) customizable gauge cluster. 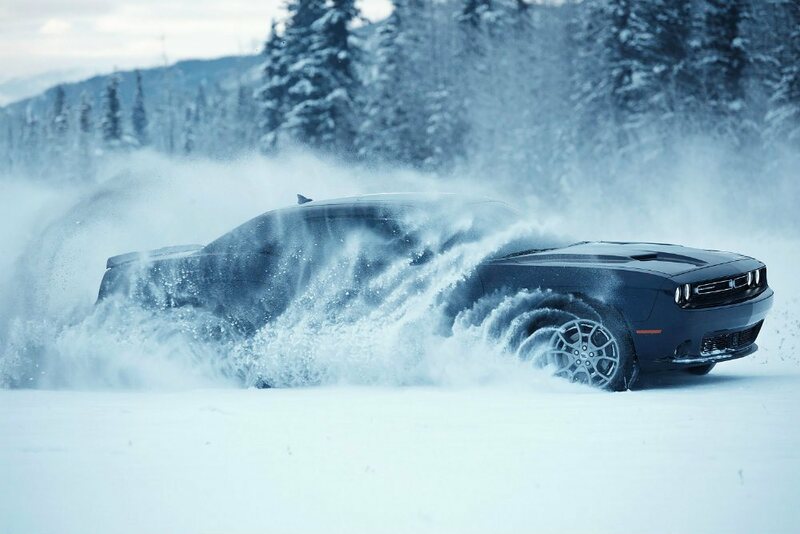 The 2017 Challenger GT AWD also comes with three-mode ESC with “full-off” mode, which makes drifting in snow even more fun. Outside, the Challenger GT AWD can be differentiated from other Challenger models with its Hyper Black finished 19-inch aluminum wheels. The rims are wrapped with P235/55R19 BSW all-season performance tires. Additional features include projector fog lamps, a deck-lid spoiler, ParkSense rear park assist, and ParkView backup camera. Inside, the Challenger GT AWD features premium Nappa leather seating, heated and ventilated front seats with four-way driver lumber adjustment, heated steering wheel with power tilt and telescoping column, Uconnect 8.4-inch touchscreen display with Android Auto and Apple CarPlay, six Alpine speakers with a 276-watt amplifier, bright pedal caps, universal garage door opener, and Hectic Mesh aluminum bezels. The GT interior package ($995) is unique to the Challenger GT AWD and includes performance Nappa leather and Alcantara suede seats, nine Alpine speakers with a subwoofer, a 506-watt amplifier, and Dodge performance steering wheel. 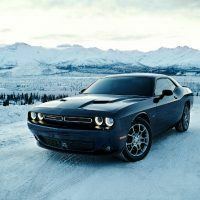 Production of the Dodge Challenger GT AWD is scheduled to begin in January and will be in dealerships during the first quarter of 2017. The 2017 Dodge Challenger GT AWD has a base price of $33,395 – this does not include the $1,095 destination charge. 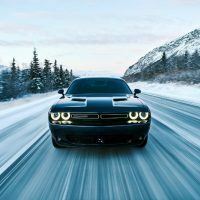 3 Comments on "First Look: 2017 Dodge Challenger GT AWD"
V6 lame.. make it a AWD with a hemi v8 and I’ll buy one! It took Dodge many years to catch up to what Subaru has been doing for many years. Either way it is nice to see AWD on a Challenger.